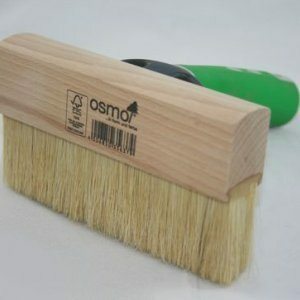 The Osmo 25mm Brush is one of Osmo’s “all round package”. 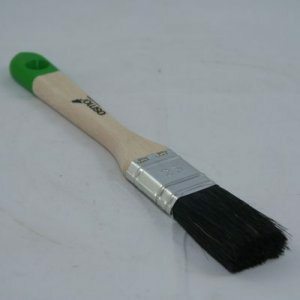 This brush uses Their aim is to supply quality accessories to get the best results from their finishing products. A variety of products are stocked and especially recommended for applying Osmo oil-based wood finishes. This is for both small and larger areas of rough sawn, untreated or planed wood. 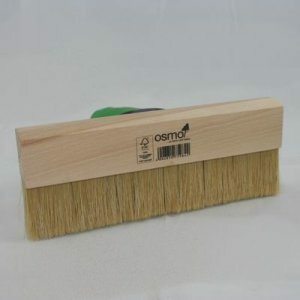 It can be used with any Osmo oil finish, but floors would benefit from the Osmo Floor Brush. 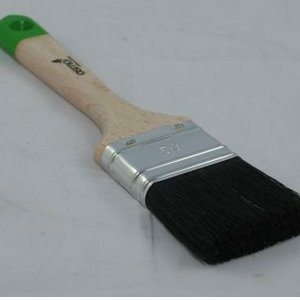 The handles are ergonomically shaped for easier application. 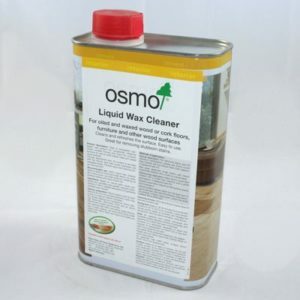 Osmo favour applying products thinly to timber, it helps improve product absorption and drying time. Therefore using a quality brush allows a more even distribution of product for the highest possible coverage. We can also offer Courier Delivery on this product throughout Mainland UK, delivery normally 24-48 hours.